How Can I Attract Bats? Attracting bats is done by attracting the bugs they like to eat, so putting up white lights, leaving out water and letting leaves accumulate is a good way to attract bats to a property. 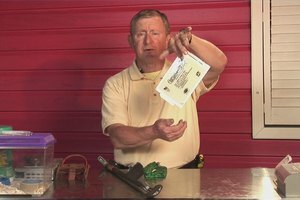 Get bats to populate a property to kill off pesky bugs with information from a wildlife control specialist in this free video on pest control. How to take care of nuisance wild life, rodents and pest problems. This is Ed with Critter Control of Tampa Bay. How can I attract bats? I want bats in my house? Bats are one of the most beneficial animals we have. They fly, they eat bugs. Oh, the key, how do I attract bats? You can put out water to help breed mosquitoes, you can put out white light bulbs to attract the bats to the lights that are outside that are attracting all these flying insects at night. These are night feeders and they love insects. They'll eat up to two hundred insects a night. That's a lot of bugs that they're going to get rid of. So the reverse is true. How do I not attract bats? You not attract them by using yellow lights which don't attract the flying bugs. You take care of all your water sources so you're not breeding mosquitoes. You help to keep the area clean. You don't let the leaf litter and stuff in your landscaping build up. Keep that clean, that's a breeding area for the start of the food chain. Stop it quick, don't let it get ahead of you. I wouldn't attract the bats in the first place. But if they're there, remember they are a beneficial animal. 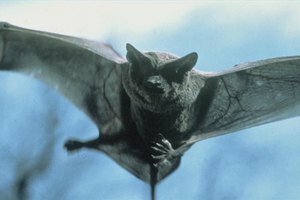 If you want more information on bats, you can go to crittercontrol.com or go to BCI, Bat Conservation International. If you're having problems with it, call a pro. This is Ed with Critter Control in Tampa Bay. Ed Carrow has more than 20 years in nuisance wildlife control with Critter Control. Critter control is the largest wildlife company in the nation with more than 120 offices. Carrow is a board member of the Florida Wildlife Control Association (FLWCA) and National Wildlife Control Operators Association (NWCOA).